Commercial drywall usually is installed vertically standing, it’s easier to install and tape drywall seams after. But on our recent drywall taping project on a 5000 sq. ft. condo on Wellington Street for Strathcona Construction we encounter different technic and at first were surprised with GC decision to install it two-sheets horizontally on walls plus cutting one of the sheets into two pieces. After interesting debate we can see the point of the architect. Because the client is really concerned with the quality of finish he doesn’t mind spending more on getting a seamless wall. It is a visual trick that anybody can use on their own home’s project. You cut one piece of drywall to make it 30’’ or so wide and install along the wall bottom. Than on top of it on the wall you install a solid regular 48’’ sheet and on top you put the rest of your bottom cut piece. This way on a regular human body height on a long wall (and walls are really long at that condo) if you are using 12’ drywall you can see very few vertical seams, which makes the wall visually seamless. Very smart decision and nice thinking about customer satisfaction. Our recent drywall installation and taping project in Kensington market Toronto had an architectural feature. 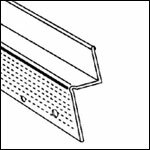 This D300 Drywall Trim is designed to provide crisp clean reveals around openings or at ceiling and floors. The holes and knurled surface provides an excellent ‘key’ for finishing with joint compound. For use with 1/2″ drywall to provide a 1/2″ or 5/8″ reveal. 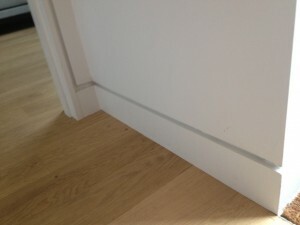 By design of the custom home we had to install the d300 molding around the perimeter of the walls 5 ” from the floor. 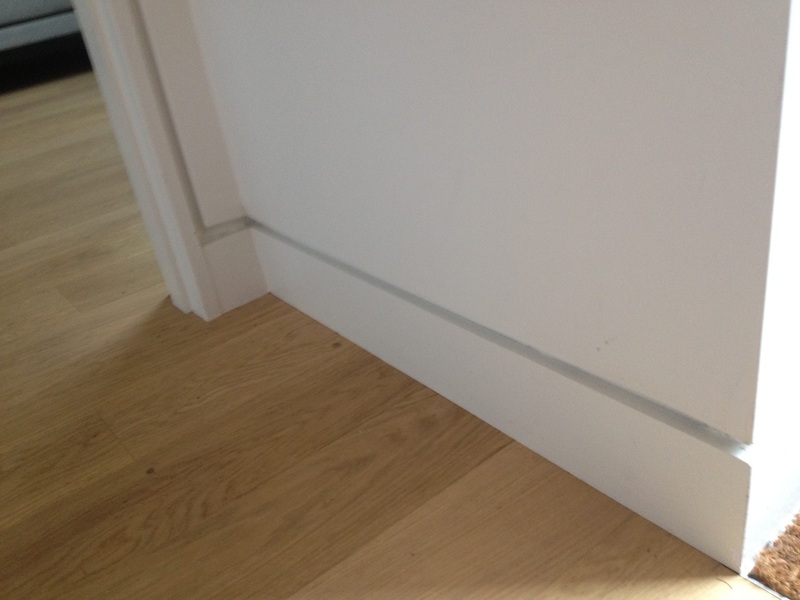 From our 10 years of practice as drywall contractors in Toronto it was our approx 10th time we had to install this moulding. The Z-shaped d300 molding gives the interesting touch leaving drywall panels stand within half inch from the trim near the floor area, around the windows and door casings. D300 Drywall Trim is definitely a very beautiful modern design feature.